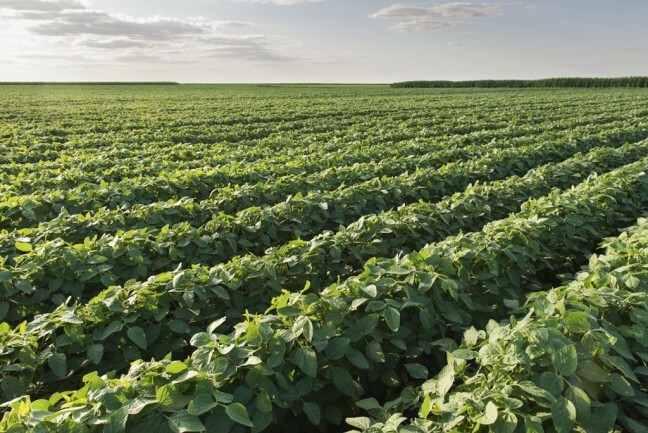 AG CANADA PROJECTS RECORD SOYBEAN ACREAGE FOR 2018-19 | Chatham-Kent Agriculture Development | We Grow For the World! Market analysts at Agriculture and Agri-Food Canada are forecasting the soybean planted area to rise by 2% to a record of 3 million hectares in 2018-19. The projection was part of AAFC’s preliminary estimates for the next crop year in the Outlook for Principal Field Crops report, released on Jan. 25. The report attributes the potential soybean increase to attractive returns in comparison to alternate crops. Production is forecast to rise slightly to a record of 8.1 million tonnes, based on 5-year average yields. Total supply is forecast to increase by about 5% and set a new record of slightly over 8.7 Mt. This is expected to support record exports of 6.0 Mt to a diverse group of countries. Domestic processing is forecast to rise marginally to 1.9 Mt, slightly under the record pace set in 2015-16. Carry-out stocks are forecast to fall to 0.33 Mt from the 0.38 Mt anticipated for 2017-18. Soybean prices are forecast to rally slightly to $415-455/t on support from strengthening U.S. prices and a stable Canadian dollar-US dollar exchange rate. The forecast for 2017-18 is $405/t- $435/t, down from the $454/t in 2016-17. Seeded area for corn in 2018-19 is forecast to increase by 2% from 2017-18 due to steady prices and continued good overall demand. The crop year begins with carry-in stocks at record levels. Production is forecast to increase 3% to 14.5 Mt due to the higher area and the assumption for average yields. Due to record carry-in stocks and higher production, total supply will increase by 2%. Imports are forecast to decrease by 38% due to the higher domestic supply. Total domestic use is forecast to increase by 2% due to trend increases in ethanol production, industrial use and livestock feeding. Exports are forecast to increase by 7% due to higher supply and movement to the EU. Carry-out stocks are forecast to increase by 4% to 2.6 Mt and remain well-above the previous five-year average. The nearby Chatham corn price is forecast to increase slightly due to projected slightly higher U.S. corn futures and the weak Canadian dollar continues to be a bullish factor. The area seeded to wheat in Canada is forecast to increase by 4% from 2017-18 as an 11% decrease for winter wheat is more than offset by a 5% increase for spring wheat. The spring wheat area is forecast to increase because of relatively good prices for hard red spring wheat and a shift out of winter wheat and dry peas in Western Canada. Production is projected to fall by 3% due to a return to trend yields from the above trend yields of 2017-18. Supply is forecast to fall by 2%. Exports are forecast to be the same as for 2017-18 and carry-out stocks are forecast to decrease by 10% to 4.5 Mt. Wheat prices in Canada for 2018-19 are forecast to be similar to 2017-18 as support from lower supply, in the U.S. and Canada, is offset by a stronger Canadian dollar and a return to normal protein premiums, which are lower than they were for 2017-18.